Professor Angelov grew up at the intersection of two worlds. In Soviet-allied Bulgaria, his parents were educated in the communist system, which promoted atheism. His grandparents, however, were pious, observing long-held Eastern Orthodox Christian traditions. These two worldviews were at odds, and Angelov was fascinated by the ways the old and new in Bulgaria interacted. He made the study of religion, especially Christianity, his life’s work and came to the United States to study and then teach history, anthropology and philosophy. Angelov holds master’s degrees in history and classical Greek and a Ph.D. in history from the University of Michigan. He has done research and worked in Rome, Paris, London and Jerusalem. 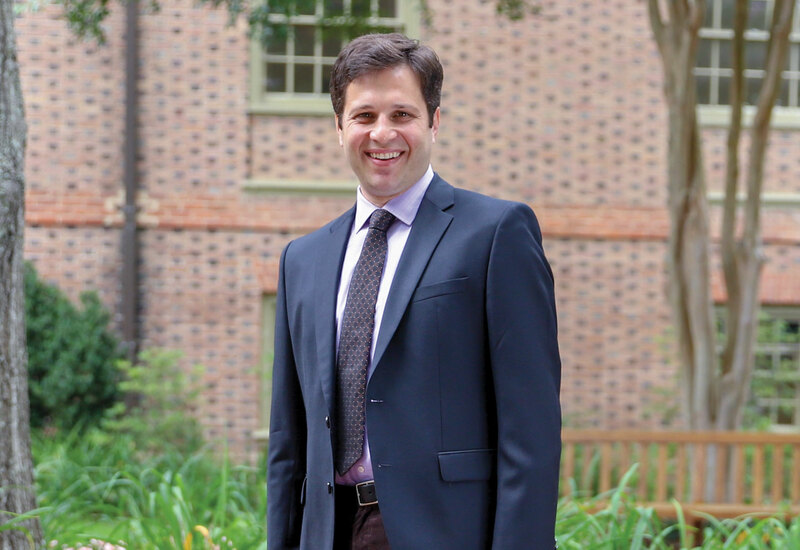 He came to William & Mary in 2011 and joined the faculty at the Department of Religious Studies, then became a member of both the Russian and Post-Soviet Studies program and the Medieval and Renaissance program. “William & Mary attracted me with its rich history and vibrant intellectual community. As a scholar of Christianity who is interested in interdisciplinary work and collaboration with colleagues and students, this is a perfect place for me,” he says. Angelov’s students describe him as approachable and inspiring, able to answer any question and invested in each student’s well-being. He encourages students to think critically about their own experiences as well as the class materials, challenging them to dig deeper into their understanding of each topic and its relevance to their lives. He is excited to see his students succeed and go on to pursue careers that aspire to help others and make a difference in the world. He is about to publish his book comparing conversions to Byzantine Christianity between 300 and 900 CE, the period in which Eastern Orthodoxy expanded the most. He also examines the way historians and politicians since have described the events of this period in ways that further particular agendas. During his upcoming sabbatical, he will travel to Eastern Europe and Russia to conduct research for another upcoming book that explores Orthodox Christianity from the turn of the twentieth century and through the years of communism. He will focus on the way in which leading communist ideologues, educators and politicians interacted with religion and how they communicated their utopian ideas and notions of scientific and economic progress to societies steeped in folklore and rural traditions. At William & Mary, Angelov especially enjoys teaching his Introduction to Christianity course, his largest class, which contains students from many different backgrounds. A traveling salesman must start at his office, visit 10 businesses throughout the city and return to his office. What’s the most efficient route he can take? This is an example of an optimization problem, and surprisingly, it is widely believed that no computer algorithms exist that can efficiently find the answer to this question for any possible input. 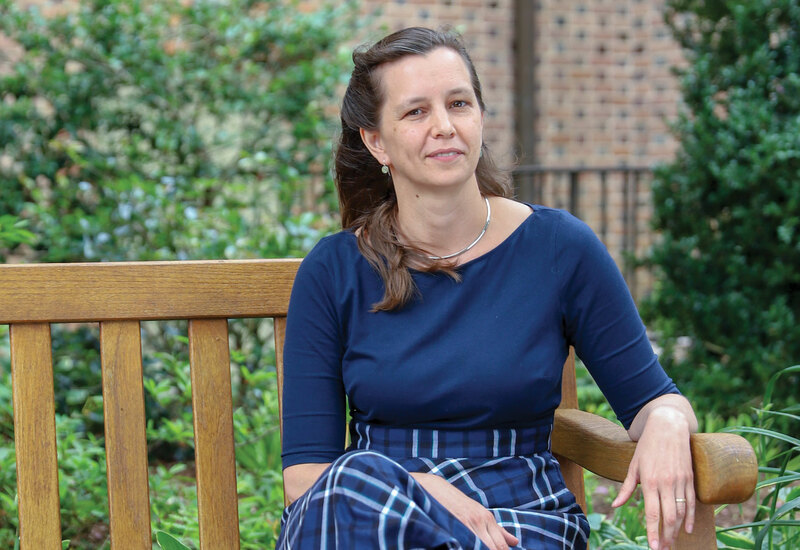 But figuring out how to use computer science and math to find algorithms that come close to solving these problems optimally is what gets Professor van Zuylen out of bed in the morning — it’s a focus of not only her teaching but also her research and publications. She uses realistic problems to inspire her introductory students, who might not think they like math, to realize that math can be useful and fun. She also teaches in the graduate program, looking at the cutting edge of computer science, like the algorithms internet companies use to deliver their services. Van Zuylen is currently working on an article in the field of phylogenetics, the study of evolutionary relationships among species. Biologist use many different types of data to make tree-shaped diagrams of these relationships, and van Zuylen is developing algorithms to find the maximum overlap between the diagrams. It’s just one example of the wide variety of problems she tackles with optimization. Van Zuylen joined the faculty of William & Mary in 2012, before which she spent two years at the Max Planck Institute for Informatics in Saarbrücken, Germany, and was the first recipient of the Lise Meitner Award Fellowship for Excellent Women in Computer Science. She also worked as a postdoctoral researcher at the Institute for Theoretical Computer Science of Tsinghua University in Beijing, China. For her upcoming sabbatical, she will be traveling in China, Singapore and Europe, exploring how universities there have set up their operations research and optimization programs. Does meeting in person make a difference in diplomacy? Psychology and neuroscience point to yes, says Professor Holmes. That’s what Holmes’ research is all about, and it’s the topic of his book “Face-to-Face Diplomacy: Social Neuroscience and International Relations” that was published in February 2018. Now he’s looking at what personal interactions can look like in cybersecurity, as nations defend their critical institutions from foreign hackers. Is it possible to build trust when you are actively investigating other nations’ capabilities? Holmes reckons face-to-face relationships have a place even in the often-anonymous world of the internet. In his Political Psychology of International Security class, Holmes asks students to consider whether decision-making in high-stakes diplomacy can ever be completely rational, and how much intuition should factor into important decisions. The discussions in his classes often come straight from the headlines. In his Introduction to International Politics class for freshman and sophomores, he encourages respectful debate and assertions supported by evidence. These are important elements in all the courses he teaches. “My classes are living things — it gets heated at times, but it’s good to be exposed to things that make us a little bit uncomfortable, to be exposed to other viewpoints,” he says. 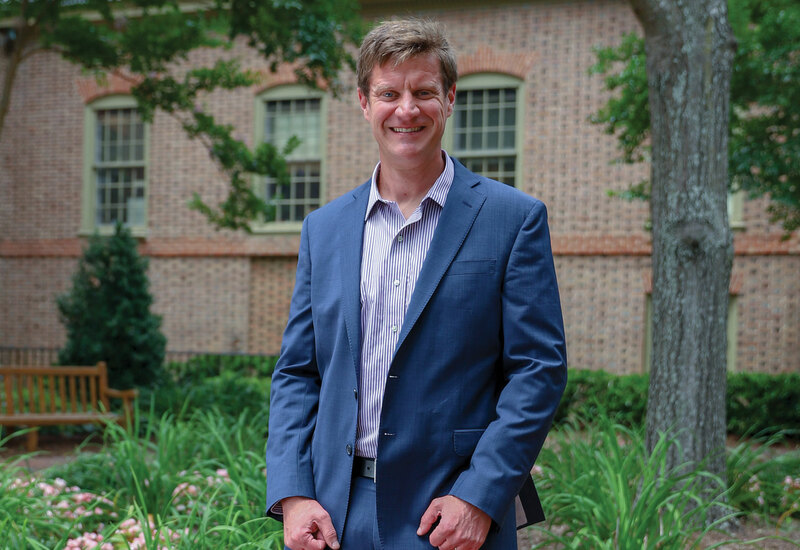 Holmes came to William & Mary in 2014 after teaching at Georgetown University, Fordham University, and The Ohio State University, where he earned his doctorate. 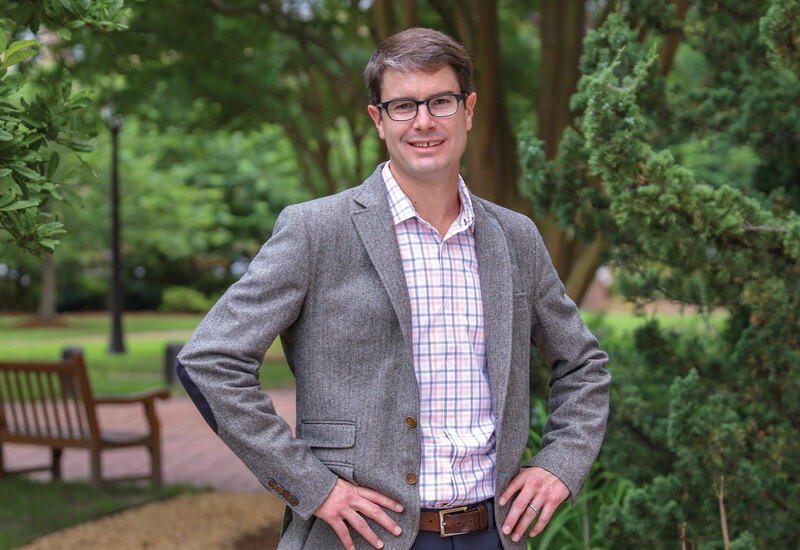 His is the co-director of William & Mary’s Social Science Research Methods Center, which integrates undergraduate students studying social science into faculty research. He also directs the Political Psychology and International Relations lab, a collaborative research group of students and faculty using psychological, including social and neuroscientific, approaches to address the security, economic and environmental challenges that arise from global interconnectedness. Say the word “conflict” to yourself. Depending if you thought of it as a noun or a verb, you may have said “CONflict” or “conFLICT.” Now try “Kia.” Do you hear that extra “y” that sneaks in there? Stressed syllables and phantom consonants are just some of the patterns in speech that Professor Lunden studies across many different languages. She and collaborator Nick Kalivoda, in conjunction with student research assistants, have created an extensive database of stress-related characteristics of 141 languages, and her work has also contributed to the study of speech patterns in people with schizophrenia. She involves students in her research, designing studies in which participants listen to synthesized speech in a sound booth to categorize words with manipulated pitch, duration and loudness on different syllables. Lunden came to William & Mary by way of California, where she received her Ph.D. in linguistics at University of California, Santa Cruz in 2006. She taught at William & Mary before accepting a position at the University of Georgia. 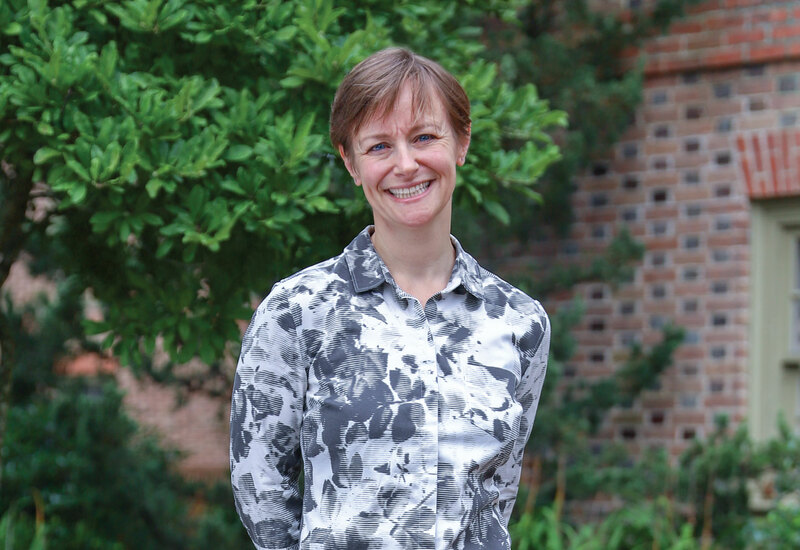 She returned to William & Mary as a tenure-track faculty member in 2012. “I’m glad to be back here on this beautiful, small campus to work with such extremely engaged, rewarding students,” she says. She’s passionate about linguistics because it allows her to play with languages, examine and learn about them. She’s always been fascinated with languages and admired her mother’s career in education. William & Mary gives her the opportunity to combine teaching, research and the world’s many languages every day. In her classes, she gives students the data along with tools and questions to answer, in order for students to construct analyses themselves. As for the yanni vs. laurel debate? “I hear laurel,” she laughs. Professor David Long makes a good first impression, greeting each person individually, making eye contact, remembering names and generally putting people at ease. Makes sense, because he specializes in first impressions. Long researches impression management: how people build their reputations and control their image. For example, he has studied the long-term relationship between a patient’s impression of a doctor and their overall happiness with that doctor, the number of medical errors the doctor makes and how profitable they are. He also examines the ways employees manage their reputations and the reactions of their supervisors and coworkers to these techniques. Currently, Long is working with students to take his research a step further, to examine how management journals build their reputations. The journals that are most often cited in other journals — traditionally considered to have the highest reputation — are not the same journals that scholars are using to teach future scholars. At the Raymond A. Mason School of Business, he teaches organizational behavior, of which impression management is a part. Organizational behavior is the study of people in a business. Long believes people are businesses biggest assets and biggest challenges. Long worked in business development and store management at the Home Depot before earning his M.B.A. and then his Ph.D. in organizational behavior from the University of Florida. He also holds a BS in business administration from Presbyterian College. He served in the U.S. Navy as a naval flight officer and is now in the Navy Reserves. Last year, Long designed and taught a course on management consulting in which alumni in the field returned to campus to talk about their experiences. Helping students make connections to further their careers is important to him, as is teaching them to be impactful communicators. “We all have the potential to be leaders,” he says.